Euro zone governments are increasingly relying on hedge funds to help them meet their borrowing needs, which risks leaving them vulnerable to a debt market sell-off driven by a class of investors dubbed 'fast money' for their speculative approach. LONDON (Reuters) -- With banks playing a less active part in the sovereign debt market because of pressures on their balance sheets, several countries have turned to hedge funds to sell their targeted amount of bonds, according to data, officials and bankers. Any such political shocks, compounded by rising bond market volatility, could potentially trigger a sell-off -- a risk that stirs painful memories of the region's debt crisis in 2010-2012 when a bond rout led to several countries unable to pay their debts and raised fears the euro zone could unravel. By contrast, just three years ago, Spain, Italy and Belgium were selling only 4-7 percent of their syndicated bond sales to that community of investors, according to data from IFR, a Thomson Reuters company. There is no comparable data for France, which does not routinely record hedge funds' allocation. The European Central Bank, the guardian of the euro zone's financial stability, declined to comment when asked if it was concerned about the trend. "Hedge funds have grown in importance," said Damien Carde, head of public-sector syndication for RBS, which handles bond issues for several euro zone countries. "If you need to bring a large syndication to the market it is always a plus to have that community on board." He warned, however, that the tag of "fast money" still applied to hedge funds. "They have a very active investment approach, they will invest when they anticipate to make a decent short-term return. But as soon as the prospect of earnings disappears, they will leave." Christian Shreckeis, head of capital markets and investor relations at the Austrian Treasury, said the country's recent 70-year bond received strong hedge fund demand, but could not be more specific as Austria does not separately record hedge funds' allocation in its bonds data. "Over the past 1-2 years we have noticed that hedge funds are getting more active in sovereign bonds in Europe," he added. Most other euro zone countries, including Germany and the Netherlands, also do not have figures for hedge funds' debt investment -- either because they do not break out such data or tend to issue bonds only in auctions where they are taken up by banks who then sell them on to investors. "We believe in having some part of the bonds sold after we complete a deal so that investors can see there is a performance in the after-market," said Anne Leclercq, head of the Belgian government's debt management office. "Demand from banks was bigger in the past in general -- so hedge funds are playing that role to an extent now." Belgium's allocation to hedge funds on syndicated transactions has spiked from 4.5-6.4 percent in 2012 and 2013 to well over 10 percent this year. On a 3.5 billion euro 30-year bond in March, as much as 24.34 percent was sold to hedge funds, data on the country's debt agency website shows. The debt departments of the Spanish and Italian did not respond to requests for comment on increased hedge fund participation in bond sales, while the French government's agency declined to comment. Hedge funds have traditionally been viewed as fast money because of their tendency to "flip" bonds to make a quick profit after buying in a syndication, or exit their positions in a hurry at the first sign of trouble. "Certainly any asset class where there is fast money being brought in that might bring added volatility and displacement of prices that aren't real, that is unwelcome," said Darren Ruane, head of fixed interest at Investec Wealth & Investment. "Hedge funds could engage in yield-curve trades, say anticipating higher yields at the short end and either higher or lower yields at the long end, depending on their view of whether long-term inflation can be controlled," he added. "When that unwinds that is really unhelpful." Two bankers who handle bond sales for Greece pointed to that country's return to bond markets in April 2014 as an example of a deal that relied heavily on hedge fund demand to its detriment. "Hedge funds bought a large part of the debt but when it sold off, they were desperate to get rid of it," said one of the primary dealers, who declined to be named as they are not authorized to speak publicly on the matter. The yield on Italy's 5 billion euro 50-year bond, for example, has risen 58 basis points since it was issued in early October; in cash price terms it has fallen from 99.194 to 85.50, suggesting investors who still hold the bonds have lost over 11 percent of their investment, according to calculations from banking group BBVA. 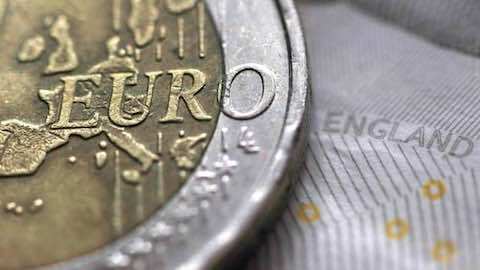 Europe: "Euro Zone Turns to Hedge Funds to Meet Borrowing Needs"